Guinness is encouraging people to round up their mates and take them to the pub on St Patrick’s Day, March 17. 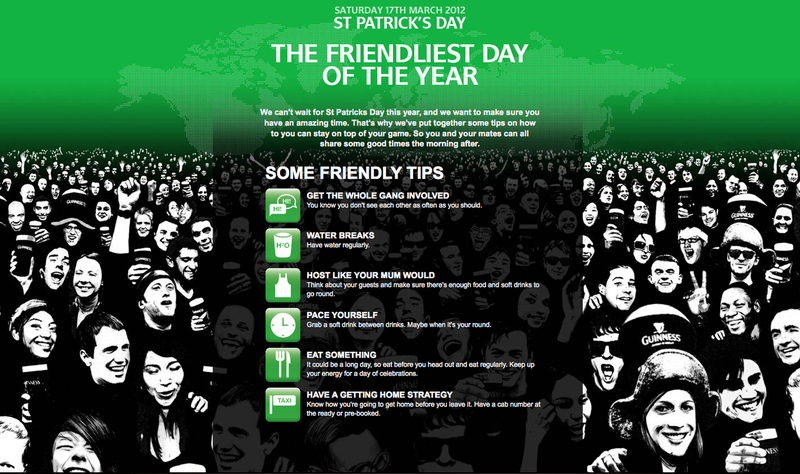 The campaign, online at Facebook, suggests that St Patrick’s Day should be the happiest day of the year. 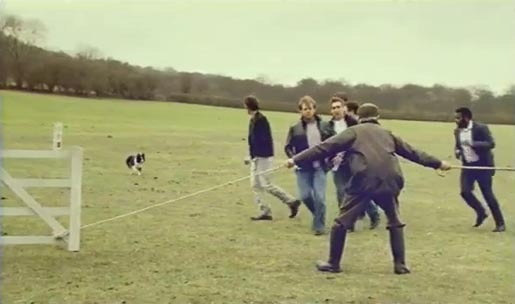 A television commercial demonstrates how difficult it can be for a sheep dog to achieve this goal, as demonstrated by sheep dog trial champion Gareth Longrass with his border collie Roy. Seven men are herded past a sofa and television, an Indian restaurant, and girls on a dance floor, to get to the pub that serves Guinness. 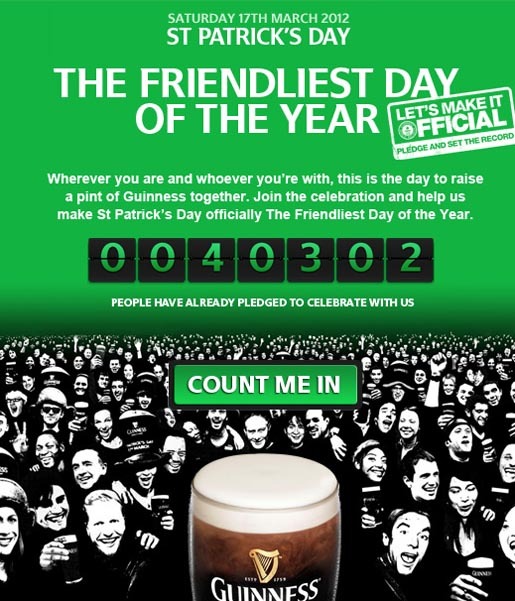 Guinness is using Facebook to set a Guinness World Record for ‘The Friendliest Day of the Year’ by encouraging as many people as possible to join a global party celebrating “true Irish friendliness”. The Round Up Your Friends campaign was developed at AMV BBDO, London, by creatives Anthony Nelson and Mike Sutherland, agency producers Lou Richardson and Paul Goodwin. Filming was shot by director Kevin Thomas via Thomas Thomas Films with producer Trent Simpson. Editor was Scott Crane at The Quarry, London. Post production was done at The Mill, London. Sound was produced at Wave Studios, London.